"In his preview of QPR v Stoke, Lewis Jones made a bumper profit of nine points, courtesy of his anytime scorer tip Steven Caulker doing the business at [10.0]." Starting off with B.B's very own Mike Norman who had a cracking week, starting with three from three in his midweek Championship preview, including a 'best bet' of Ipswich to beat Brighton at [2.84], for a profit of 6.34 points. Mike followed that up with three from four in his Premier League Saturday 3pms previews, including the best bet of Southampton to beat Swansea at a juicy [3.2], for a profit of 5.92 points. Only the late Papiss Cisse equaliser for Newcastle against Hull prevented Mike's second clean sweep of the week. His last seven 'best bets' have now been winners, all at odds against prices. A Southampton win was also Mike's selection in the latest Editors' Betting Battle column, which was a Frank Lampard goal away from a full house as Joe Dyer's pick of unders at Spurs and Luke Moore's selection of half-time draw at the Etihad both came in. Only Dan Thomas, who went for the Chelsea win, was denied but the latest results mean that all four editors are now in profit. It was an excellent weekend for the Big Match Tactical View, with winning tips across both previews. For Man City v Chelsea, Michael Cox backed Pablo Zabaleta to get booked at [3.8] and layed Man City at [2.44], while pro trader Alan Thompson went for under 2.5 goals at [2.1]. In the West Ham v Liverpool preview, Michael suggested a bet on both teams to score at [1.77] while Alan went for over 3.5 goals at [3.0]. Luke Moore also concentrated on the action at Upton Park this week and he landed a full house as all three recommendations - a lay of Liverpool, over 2.5 goals and both teams to score - came in, for a profit of 2.39 points. 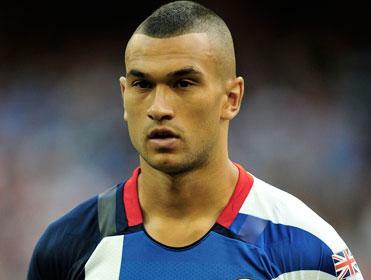 In his preview of QPR v Stoke, Lewis Jones made a bumper profit of nine points, courtesy of his anytime scorer tip Steven Caulker doing the business at [10.0]. Moving on to European action where Michael Lintorn successfully landed his Europa League treble on Thursday for a profit of 4.3 points, as Dinamo Zagreb, PSV and Young Boys all won as advised. On to Formula One where Ralph Ellis landed a [4.5] winner as Sebastian Vettel was top driver in the 'without Hamilton or Rosberg' market in the Singapore Grand Prix. In his latest Premiership rugby preview, Simon Mail bagged a [2.3] winner as Northampton Saints beat Newcastle by over 12.5 points. Finally, we couldn't leave without mentioning the Betfair market calling the Scottish Referendum correctly - the fifth political outcome in a row the Exchange has predicted. Jack Houghton mentioned as far back as January that the market was worth following and so it proved.